Bok Choy is becoming one of my new favorite cabbages to cook with. 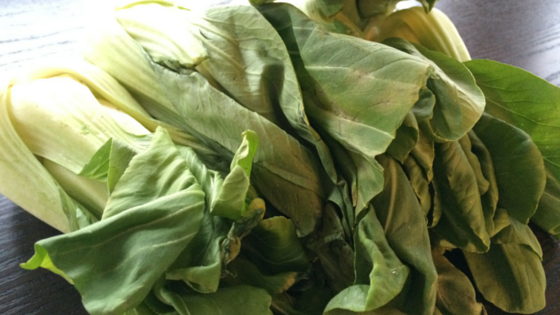 This leafy green Chinese cabbage doesn’t get a lot of play. Not because of its flavor, its actually very tasty, but I think because many people don’t know what it is or what to do with it. There are many health benefits to this low calorie, low GI leafy green. To help you out, I’m sharing a recipe straight from our Healthy Living Program that you can add to your next meal plan and give it a taste test. First off, lets start with its health benefits. Due to its heavily dosed phytonutrient and antioxidant properties, it is an amazing contender for fueling your body to attack those daily toxins that you are exposed to on a daily basis. It’s high in vitamins K, C, A and gives a good dose of minerals such as, potassium, calcium and folate. Vitamin K comes in at the highest dose of all other nutrients. The mighty K helps prevent blood clotting and keeps your bones healthy and strong. Both are incredibly important for long-term health. Vitamin C comes in next and we have all heard its many benefits ranging from protecting your immune system (your bodies natural defense), prenatal health, eye health and even keeping your skin firm and healthy. When you go to the grocery, you will notice that just like cabbage, there are various forms. Mini heads, like shown in the picture above, and large oval shaped heads, whose leaves are soft and easy to chop up. 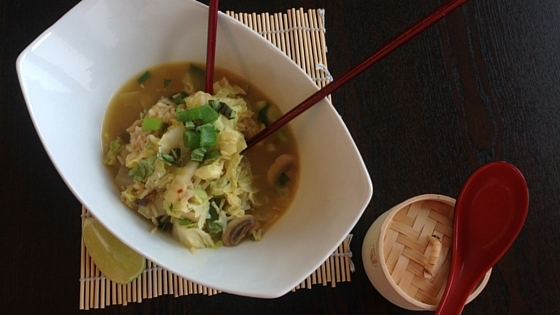 You can steam it, fry it up, add to a stir-fry or chop it up and add it to soups and salads. It cooks much faster than its sister cruciferous vegetables like the regular cabbage you know, which makes it a great side dish for your meals. You can replace the shrimp with chicken, or for vegetarian options, use 2 cups of tofu or cooked chickpeas. In a large soup pot, over medium-high heat, add olive oil, crushed chili flakes, garlic, ginger, mushrooms and bok choy. Stir frequently for 5 minutes. Add the vegetable broth and bring to boil. Add the cooked rice, shrimp, and green onions and cook for another 5 minutes. Ladle in soup bowls, season with sea salt and pepper.